Two South Korean PGA Tour players have come up short of a breakthrough win in Canada after being in contention for the first three rounds. 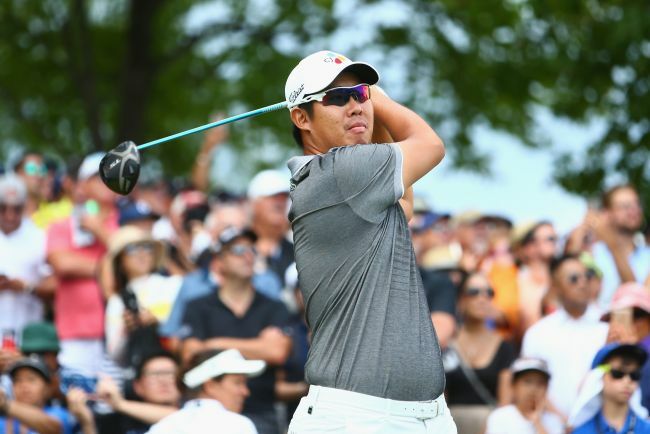 An Byeong-hun and Kim Meen-whee were each looking for their first PGA title at the RBC Canadian at Glen Abbey Golf Club in Oakville, Ontario, on Sunday (local time) but finished tied for second at 20-under 268, three strokes behind the champion, Dustin Johnson. This was the third career runner-up finish for both Kim and An. An's most recent second-place showing came at the Memorial Tournament in June this year, when he lost in a playoff to Bryson DeChambeau. For Kim, it came at the Shriners Hospitals for Children Open in November last year. There have been five South Korean winners on the PGA Tour: Choi Kyeong-ju, Yang Yong-eun, Noh Seung-yul, Bae Sang-moon and Kim Si-woo. 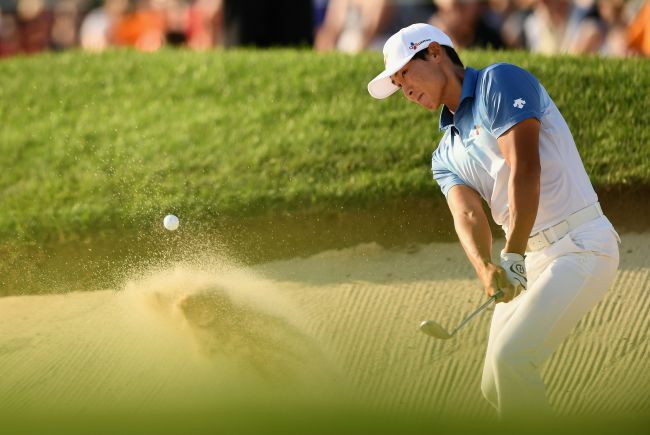 An, the 2015 European Tour Rookie of the Year, and Kim, a double gold medalist at the 2010 Asian Games, were among four players tied for the lead through three rounds at 17-under, joined by world No. 1 Johnson and Kevin Tway, son of former PGA Tour veteran Bob Tway. Paired with Johnson in the final group, An stumbled with a bogey on the second hole, before bouncing back with birdies at the seventh and the ninth. But Johnson moved ahead by two strokes thanks to three birdies on the front nine. Kim, playing in a group ahead with Kevin Tway, mixed in two birdies with two bogeys over his first nine holes, falling three behind Johnson at the turn. Kim and An picked up three and two strokes, respectively, on the back nine for the final round of three-under 69, and it wasn't nearly enough to catch Johnson, who made three more birdies -- against one bogey -- on the back nine for a six-under 66, clinching his third victory of the 2017-2018 season. An said he had "a tough start" to his final round with the bogey on the second hole, and he had to labor his way through just to shoot three-under. Though it admittedly wasn't his best day, An said he will leave the tournament with more confidence in himself.